Thought I’d post a random update on what’s got me excited recently. Last week I got hooked onto a pretty popular anime called Attack on Titan. For those of you familiar with Reddit, 9gag and the Internet in general have probably seen references to this anime for a while now. Well last weekend I began binge watching season 1 of the anime and I have to admit I am now a fan of the series eagerly awaiting season 2. So impatient was I that I ended up reading the original manga on which the series is based to see how the story progresses! The story is set in a post apocalyptic world where humans are living within the confines of fifty feet walls protected from the menace of mindless humanoid giants, called titans. After a century of peace suddenly one day a titan taller than the walls suddenly appears and kicks a hole into the outermost wall allowing the other titans to breach into the human city. What follows is humanity’s battle for survival against the renewed threat of the titans along with many other internal struggles. Although there are certain central characters to the story, there are a lot of secondary characters that are introduced in subsequent episodes of the anime who begin to gain significant importance in terms of the overall story arc. Like most manga/anime the series isn’t necessarily targeted at young minds as there is plenty of gore and violence to make a grown adult flinch. If you’re not comfortable with grotesque images of disproportionate giants who eat humans and some really freaky monstrous ones, this anime/manga isn’t for you! The original manga, on which which the anime show is based, is still being written in chapters. So there are a LOT of plots and subplots that are still waiting resolution. 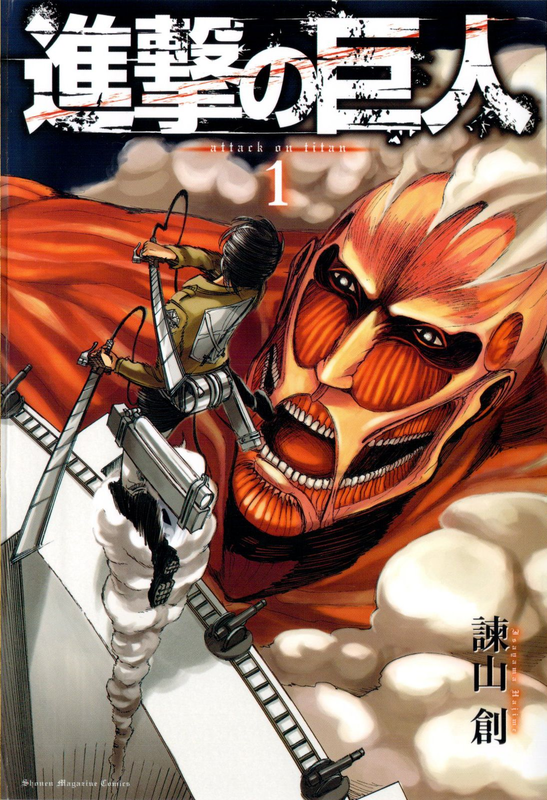 And of course there is the big mystery urrounding the origin of the titans themselves, although there have been some pretty substantial theories stated within the manga. And now thanks to this one particuar anime/manga I have been turned on to the entire genre. Downloaded a tablet app to read the COLOSSAL collection of manga available and also started adding Anime series to my Netflix queue. If you like complex story lines and are especially partial to the animated/ comic book medium, manga and anime may just be your thing!